The Young Preschool Class is for children 2 years 6 months to 3 years 4 months in September. These children are typically coming to school for the first time, so a great deal of time is spent helping them become acclimated to this new setting. There are 4 teachers and 18 children in this class so there are many available adults to assist and comfort children as they take this first step into the larger world. The children attend Tuesday and Thursday mornings from 8:45-11:45 AM. The Preschool class is for children 3 years 5 months to 4 years 5 months in September. 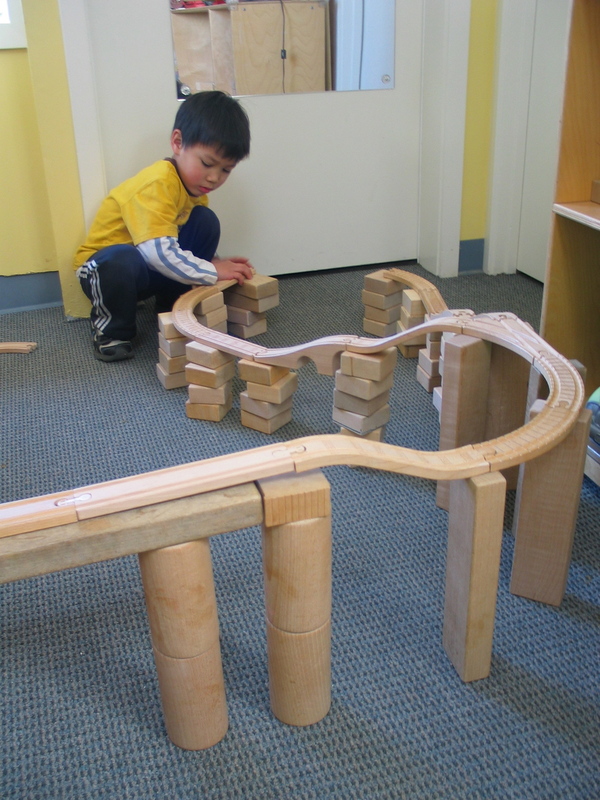 In this class, children are making new friends and exploring the complexity of social play. Playing with other children is exciting and fun but managing the feelings that come with this new, dynamic type of play can be difficult. Teachers help children problem solve and learn how to enter play successfully. There are 20 children in this class with 3 or 4 teachers depending on the time of day. Children attend from 8:45 -11:45 AM Monday, Wednesday and Friday mornings. This Pre-Kindergarten class is for children 4 years 5 months and up in September who will be attending Kindergarten the following fall. With children attending five afternoons from 12:45-3:45 PM, they have ample time to test their developing skills. 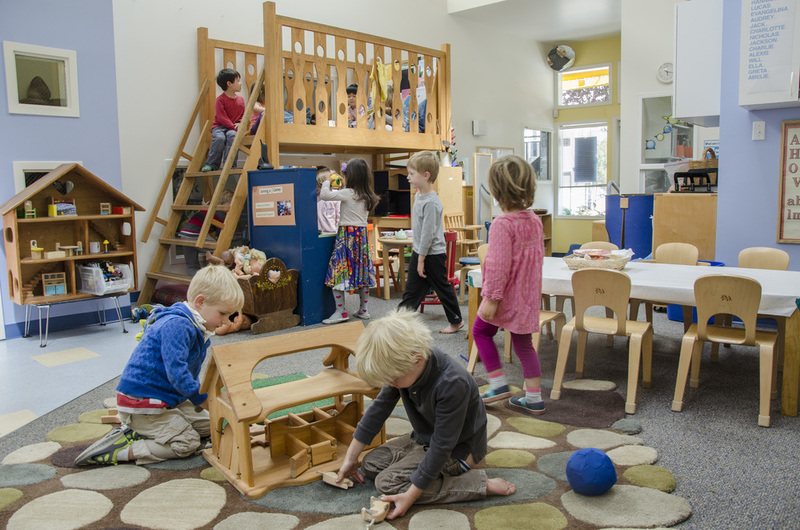 As with all of the classes at Peter's Place, the Pre-Kindergarten is play based with curriculum activities emerging from the interests of the children. There is more structured time in the day to help prepare the children for the approaching demands of kindergarten. These periods are balanced with long stretches of child-centered free play. There are 20 children in this class with 3 or 4 teachers depending on the time of day. Between 11:45 and 12:45 on Monday, Tuesday, Wednesday and Friday there is an optional lunch program with a mixed-age group. Children from the morning class stay to eat lunch with older children from the Pre-Kindergarten class who come an hour early to have their lunch. Teachers sit and eat with the children, encouraging conversation and the enjoyment of a meal with friends. When the majority of the group has finished eating, children have a free-play period inside and outside. The last 10 minutes of the hour are spent reading a final story while the younger children are dismissed and the remaining Pre-Kindergarten class arrives. This is a wonderful way for children to expand their friendships into other classes and experience playing with children of different ages. There is an additional fee for this program. We offer an optional extension hour for children enrolled in our PreK program. Currently this is offered on Monday and Wednesday from 3:45-4:45pm. Children who attend have free play inside and outside. The hour will conclude with a group story or song. There is an additional fee for this program.